Hopefully I won’t be the groom in another wedding. My experience makes me wiser, but enough is enough already. 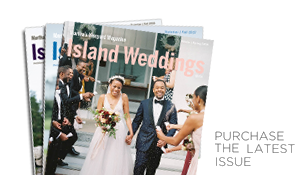 Island caterers are indispensable for feeding the wedding crowd, but they can also be helpful in providing food for a more intimate brunch the next day. 1. You can’t drive to the Island. The only way to get to the Vineyard is by boat or plane, so make travel arrangements early. We suggest that people leave their cars behind because parking here is limited and traffic hectic – especially during the popular wedding months of June through October. 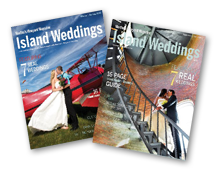 There are a number of transportation options – to the Island and around the Island – so check our website (www.mvislandweddings.com) for specifics. 2. The waiting period for a license.